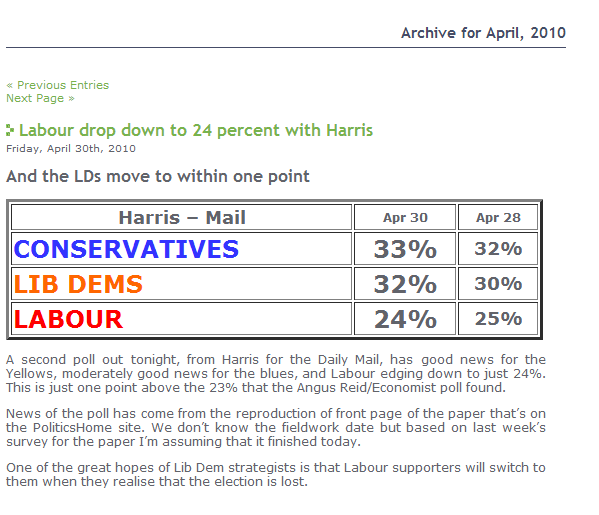 Anyone wanting to predict the result of the 2015 election might like to take a look at this poll from April 30th 2010, just a week before the national poll. How times change! This is taken from the excellent Political Betting Blog, a great site, well worth a visit run by Mike Smithson for many years. A week later, the country voted 37% (Con), 30% (Lab) and 23.5% (LD). So the A-level results are out. Here’s how the major organisations highlighted the news! BBC run with the negative, Sky with the positive. Mind you, with the grade inflation of recent years might mean that the negative is a positive. This is a hoot. 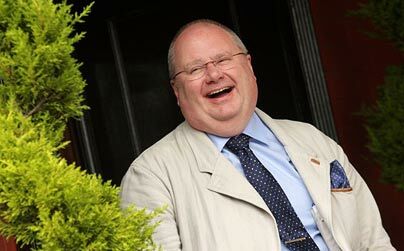 Elected councillors at all levels shouldn’t hide in public – thanks to Eric there really is nowhere to hide! We have every ambition to increase the public’s participation in civic society, and is part of our Big Society agenda. This is also a good watch. The point made near the end (about the accuracy of a single recording) is particularly sharp because we’ve been in meetings where the council team haven’t recorded the meeting, and a member of the public has done, we’re then in the position of defending the accuracy of minutes, a month later !